What's The Craziest Non-Car Made By A Carmaker? Chrysler is a company now known for making dowdy family cars, pickup trucks, and the occasional Hellcat. But long before the modern-day era of staid sedans and Italian ownership, there was the Chrysler Space Division. And the Chrysler Space Division made rockets. Of course, you don't just decide that one day you're going to go to the Moon and the next day it happens. You get there by building slowly, and that's how Chrysler got into the game. During World War II, most American carmakers found themselves cranking out mass amounts of industrial products for the war effort, and Chrysler was no different. While the company originally made products like radar antennas, after the war ended it didn't want to lose out on any of that sweet, sweet government cash. So it turned to making missiles. With the help and designs of former Nazi Wernher Von Braun, Chrysler set about building what became the PGM-11 Redstone missile, based on the German V-2, in Huntsville, Alabama. The Redstone became the first missile to conduct a test with a live nuclear weapon in 1958, and when the government decided it wanted to go into outer space, they turned to the company that built its most reliable rocket. 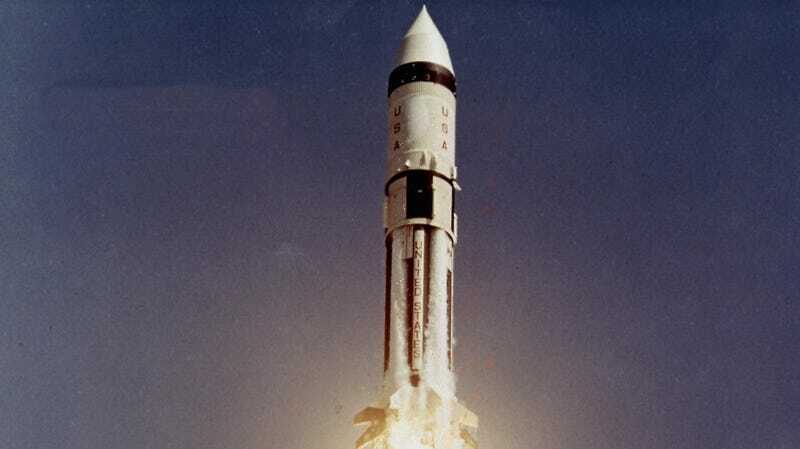 The Redstone formed the basis for the launch system of the Mercury program, and that turned out so well that NASA again turned to Chrysler when designing the rockets that would take people to the Moon. And that's how the company ended up as the prime contractor for the the first stage of the Saturn IB, which was used for the Earth-orbit tests of the Apollo program, and later, for Skylab. Chrysler's interesting foray into non-carmaking didn't stop there, as they continued with military and other government projects for years. But I'll leave that – and the robots, boats, planes, and other weird non-car thing auto manufacturers made – to everyone else. If you think of any more, drop them into the comments below!